The concluding part of the four-part blog series will try to cover the remaining key points on how to choose the right interior paint colours. We understand it’s been a fairly lengthy blog. Nevertheless, the focus has been clearly on some of the key areas we tend to make mistakes time and again when selecting the correct interior paint hues, largely due to improper legwork. The odds are that 90% of the time you will have a new colour scheme, but unsure of which interior colours to pick. This is where a colour consultant can put you in good stead. A colour consult can show you some paint colour ideas so that you sample, or even personalise a colour palette for your home. Before you rub shoulders with a colour consultant, have some ideas and inspiration in mind so that you can engage in productive discussion. The consultant should also be in a position to visit your house at a particular time when you think the natural lighting can pose challenges for your space. Don’t be taken back if your colour consultant asks you to make adjustments to your lightning to fix colour issues in your room. How Paint Colour Apps can make decision making easier? There are quite a lot of mobile paint colour apps that help you pick paint colours fast and easy. Most paint colour apps have seen a lot of improvement and updates ever since the first release version; therefore, you might want to check their features again if you’ve tried out one earlier and it didn’t play out well. The most popular paint colour apps are designed to match a colour you view anywhere, as long as your mobile device can read it. Though these apps may not give you the most exact match, they can still make recommendation on similar colours. The best apps provide colour palettes based on your colour and also ways you can share your colour palettes with your friends’ network on social media sites. There are also basic DIY videos and extra tools such as paint buying tips. 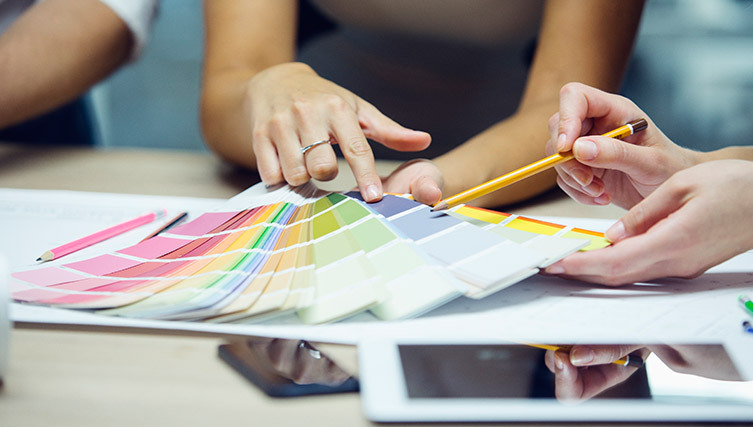 We believe that this four part series of the blog can go a long way in making you understand the nuances of interior paint colours, and how you go about selecting the right one for your home. There are definitely other things you might have learnt from the blog series such as the use of paint colour apps that can make short work of matching the interior colours and so on.